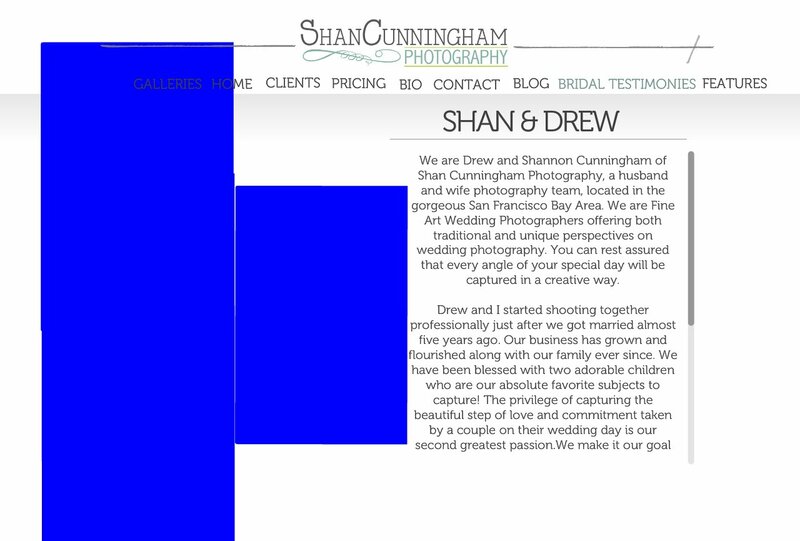 We are Drew and Shannon Cunningham of Shan Cunningham Photography, a husband and wife photography team, located in the gorgeous San Francisco Bay Area. We are Fine Art Wedding Photographers offering both traditional and unique perspectives on wedding photography. You can rest assured that every angle of your special day will be captured in a creative way. Drew and I started shooting together professionally just after we got married four years ago. Our business has grown and flourished along with our family ever since. We have been blessed with two adorable children who are our absolute favorite subjects to capture! The privilege of capturing the beautiful step of love and commitment taken by a couple on their wedding day is our second greatest passion.We make it our goal to not only be your wedding photographers but also your friends. We want to make you feel comfortable, calm and at ease on your wedding day. All of our packages include an engagement session, because I believe it is important for me to get you know you behind the camera and for you to become familiar with my shooting style as well! If you are looking for fun loving photographers and photos that reflect who you are, we are the wedding photographers for you! "Photography is savoring life at 1/100 of a second" and we will make sure that your whole day can be savored for a lifetime.